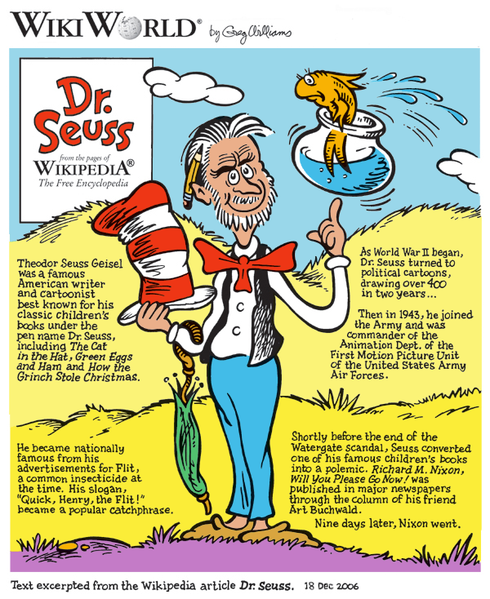 For this Monday Highlight feature of my blog, let’s be inspired with these 30 quotes from Theodore Geisel – better known to the world as the beloved Dr. Seuss. In life, no matter how much you have succeeded, do not forget that there are people who have helped you at each step of the way. And the best way to look back is to return to the people who have cared and supported you and say “thank you”. Taking this action allows you to pause and reflect to see how much of the good things in life have been given you by way of trust, support, and help from others. Assign a “Thank You Day” schedule in your calendar. Reach out, send that “Thank you” card, reconnect or arrange a simple coffee meet-up with someone who has played or currently playing an important part in your life. They could be your former teacher, former colleague, mentor, business partner, your staff, your parents, high school friend, your wife/husband, your costumer…This simple habit is also a powerful way of nurturing your established network. 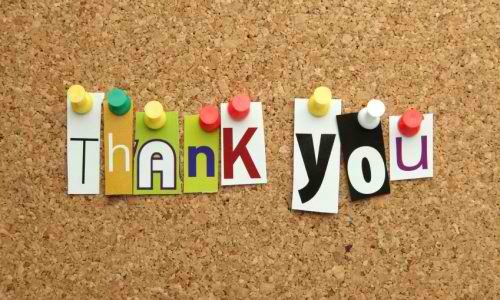 To my community of bloggers, who are following this blog and constantly hitting that “like” button, thank you so much! You keep on inspiring me to write and giving me a meaningful blogging experience. I wish to meet you all someday – and personally express my sincerest gratitude. 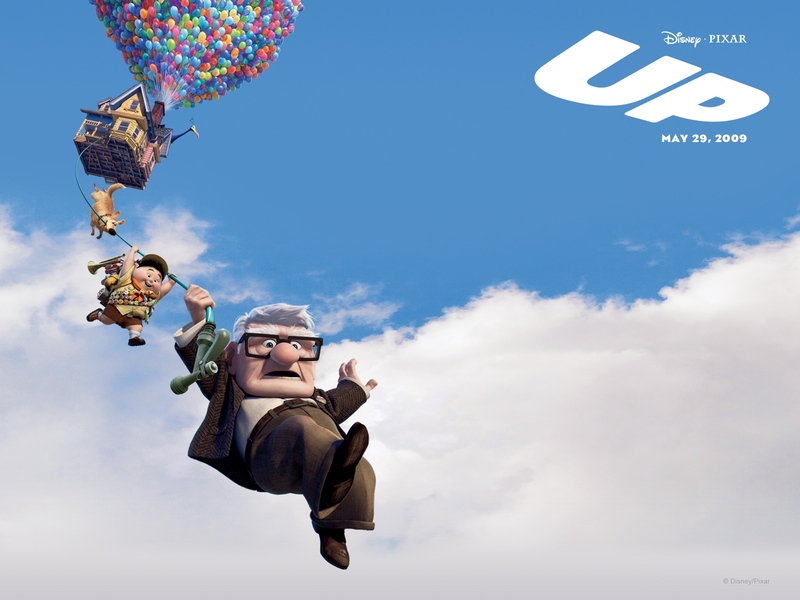 “Up” was a wonderful 2009 American 3D computer-animated comedy-adventure film directed by Pete Docter! Once again, the revolutionary minds of Pixar Animation Studios have done a masterpiece along with their Finding Nemo and Monsters, Inc. Determined to reach the Paradise of the Falls, old and nostalgic of his wife, Mr. Fredricksen tied thousands of balloons in his house and took his last chance of realizing his dream to set foot to the lost world of his childhood dreams. However, unknown to Mr. Fredricksen, Russel, an overeager eight-year-old Wilderness Explorer who was never ventured beyond his backyard, was with him. The two reached new heights and met Dug, a dog with a special collar that allows him to speak, and Kevin, a rare 13-foot-tall flightless bird. Stuck together in the wilds of the jungle, Mr. Fredricksen has realized that sometimes life’s biggest adventures aren’t the ones you set out looking for. 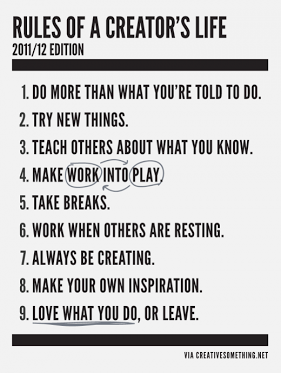 Our dreams will make us motivated to act and will bring out the creativity within us. 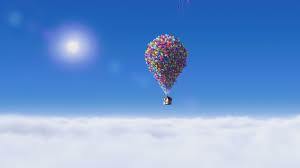 Our dreams define our adventure. Sometimes it’s the other way around: our adventures define our dream. It is important that there is always something that inspires us and get us feel excited every day. It could be a person, an idea, or a place maybe. We must push ourselves beyond our limits to realize our dream. We must make it as our adventure of a lifetime. However, sometimes new adventures (leading us to something else) will come our way and we will find enough reasons to let go of the first one. This is life – it is about making some unanticipated turns sometimes. Never get easily frustrated and paralyzed by unrealized plans. Keep sailing with a hopeful and positive attitude. Friends are so important. Always be good to people around you and make friends with them wherever you are. We will never know that they will play a very important role in our different life’s adventures soon. It is better to give up your dream along the way than compromise your integrity and self-respect. 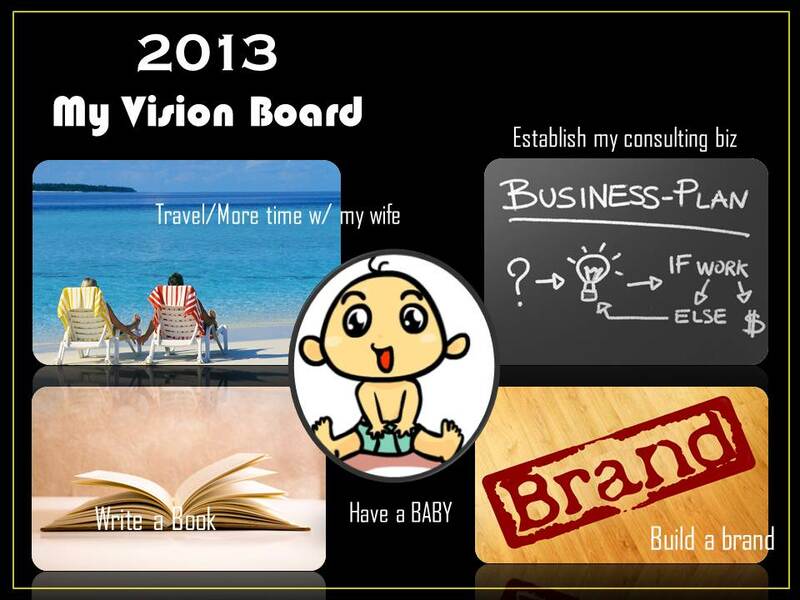 Every year, I usually make a Vision Board. I place in this board all the things I wanted to realize/accomplish by the end of the year. 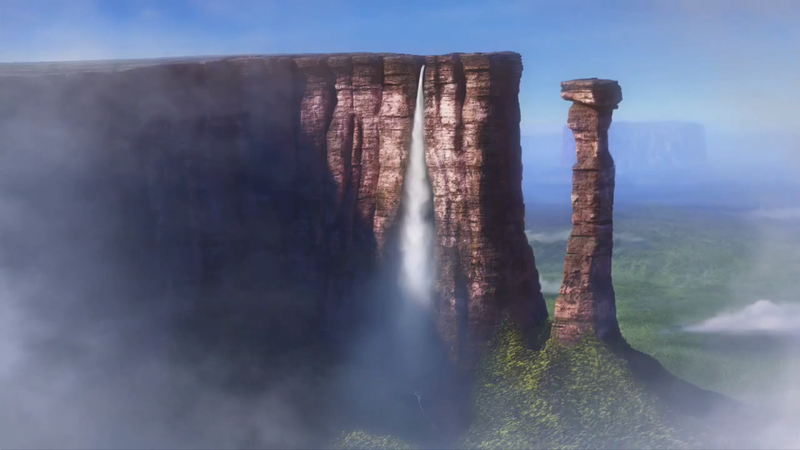 I consider all the things in my Vision Board as the version of Mr. Fredricksen’s dream – “Paradise of the Falls”. UP photos – pixar.wikia.com, dvdbeaver.com rantsofadegenerate.blo. How much of our sprinted life are we willing to give up? Do we really have no choice? I believe the right answer is NO. 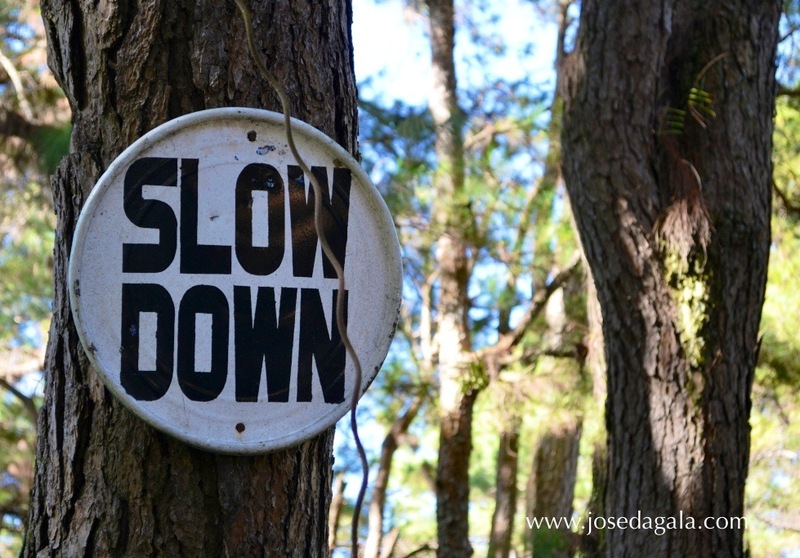 Slowing down so that we are able to balance our hurried pace is always an option available for all of us. 1. Take a lunch break alone once in a while. Go to lunch by yourself and do not bring your phone with you. (Leave it in your office). 2. While inside a train or a cab, wear your earphones and start playing relaxing music. I suggest you stay away for a while from Justin Bieber and Lady Gaga’s type of music. Instead, play soothing music, preferably music that simulates the sounds and movement of nature. Focus your attention on the sounds and close your eyes for 10 minutes. Think nothing. Just embrace the sound. 3. At night, do not take your phone to bed. If you do, the odds are great that you will check your e-mail, Facebook, Instagram, Twitter, etc. By the time you are done, it is already past 12 midnight. 4. On weekends, try to avoid going to the mall. If you cannot avoid the temptation, go for a short while, eat and just watch a movie there. Then come home, read good books, or just play and laze around with your family. 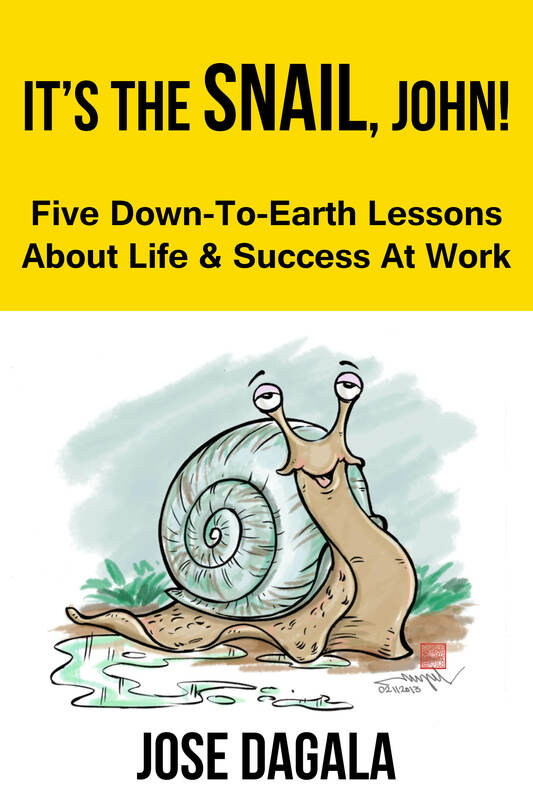 These are just five ways of snailing. You can think of some more. I leave the other ways to you, but do not just list them down. Make it a habit to practice them every day. Commit yourself to it. Later, as you engage more and more in snailing, you can fight that person inside you who loves moving too quickly, missing the connection, and making mistakes. Eventually, you will grow the snail in you.